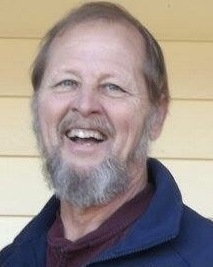 Theron Bruce Earley, age 65, of Ellenboro, NC, died, Wednesday, March 27, 2019, at his home. A native of Rutherford County he was a son of the late Theron "Monk" Earley and Mary Butler Earley. Bruce was retired from Ohmstead Plumbing after having worked more than 30 years, he was a former little league softball and baseball coach, and he loved cooking barbeque. Along with his parents, he was preceded in death by an infant son, Cevin Earley, and sister, Linda Edwards. Survivors include his wife, Carolyn McNeilly Earley of the home, his daughters, Shannon Bradley and husband Bruce of Bostic, Kelly Arrowood and husband Blake of Rutherfordton, a brother, Randy Earley and wife Leesa of Bostic, five grandchildren, Airin Bradley, Tyler Greene, Samantha Bradley, Bug Greene, Tanner Greene, a great grandchild, Jax Greene, and several nieces and nephews who were special to him. Funeral services will be held at two o'clock Sunday, March 31, 2019, in The Padgett & King Chapel with the Reverend Bob Philbeck and Reverend Paul Scott officiating. Interment will follow in the Ross Hill Baptist Church Cemetery. Visitation will be from 5 until 7 o'clock, Saturday evening at The Padgett & King Mortuary. Memorials may be made to Hospice of the Carolina Foothills, PO Box 336, Forest City, NC 28043. The Padgett & King Mortuary & Crematory are in charge of arrangements and an online guest registry is available at www.padgettking.com.